BCC is open and welcoming to all. As such, we’ve been making modifications to ensure that our logistics match with that statement. Like many things, this is a work in progress, but we have made great strides! If you need any information or assistance, please contact us! The Church Sanctuary is accessible through a door at the back of the Church, which enters into the Sanctuary through the west transept. This door is open whenever the church is open for worship. There are signs directing people to that entrance. Please do note it does require a slightly uphill walk on the sidewalk to reach the paved walkway at the rear of the church. Please also note there is no ramp in the sidewalk for anyone pushing a wheelchair from across the street in the Parish House lot. If you need assistance, we are happy to help! Contact our church office. There is a handicap accessible rest room just off the Eastman Room, behind the Sanctuary. There are also handicapped parking spaces in front of the church at the Eastman Room entrance. 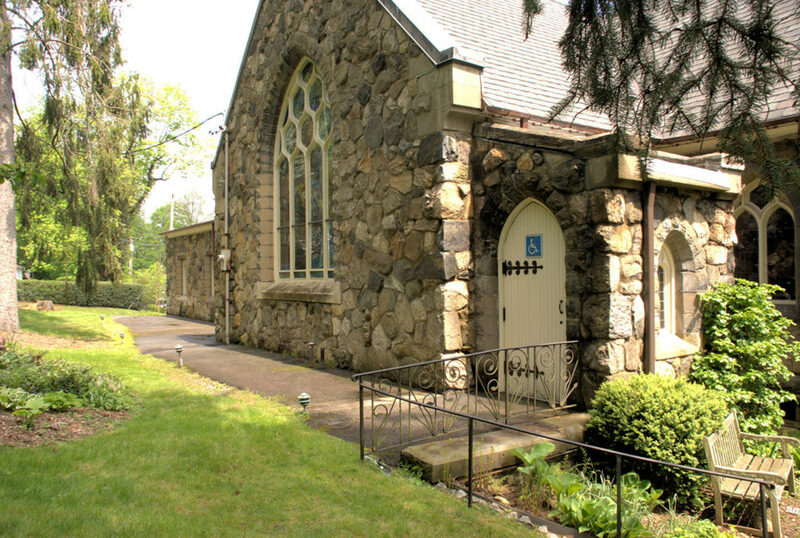 The Parish Hall (Beebe Hall) is accessible through the front lobby doors and has a handicap accessible restroom in the lobby. There is an audio loop available for the service. When you enter the Sanctuary for worship, please just mention you need an audio loop to our Ushers and they will be happy to provide one and help get you setup. We provide large-format Order of Worship copies every week, as well as a board stating which hymns we’ll be singing that day. We sing every Sunday. It’s an important part of BCC life.